We are the leading manufacturer and supplier of stone wallpanels. 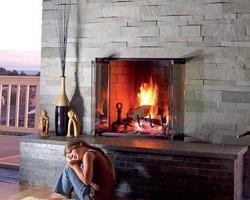 Our range of stone wall panels available in sandstone, slates, Marble, granite and limestone. Our range of wall covering stone are available in various colors and finishes. 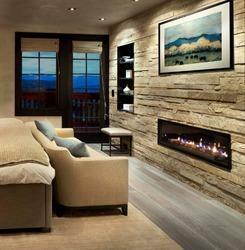 Stone wall panels are supplied by us are highly demanded for interior and exterior wall. 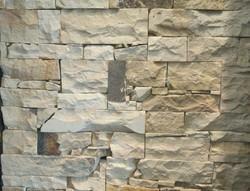 These stone wall panels available at wholesale prices. Jak Multi Slate Wall Panels are available with wholesale prices for dealers and builders who are planning to use huge Quantity for elevation. 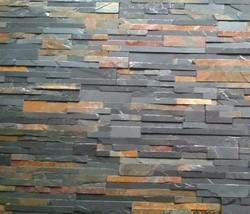 Jak multicolored slate wall Panels are highly demanded by architects and builders for cladding. 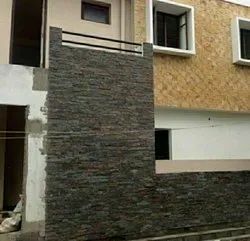 We are leading manufacturer, Exporter and supplier of¿¿Stone Wall Panel for Exterior Wall cladding. 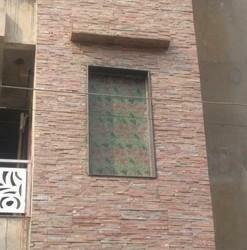 We have variation Colors and designs of stone wall panel for exterior wall cladding. 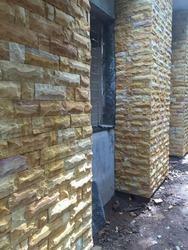 Stone wall Panel can be use for external as well as internal wall cladding. Black Slate Wall panels are very popular in Indian market for interior as well as exterior walls. 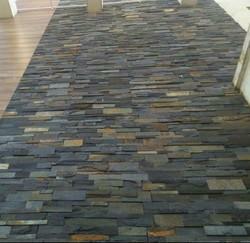 We are leading manufacturer and supplier of Black Slate Wall Panel. It gives very attractive look on the walls. We provide customized sizes and shapes as per customers choices. We also provide the installation facilities for the customers. We are leading manufacturer and supplier of Grey Sandstone Wall Panel. Grey Sandstone wall panels could be installed on external as well as internal wall. We are leading manufacturer and supplier of Sandstone Wall Panel. Sandstone wall panels could be use for internal and external wall cladding. Yellow sandstone wall panels are available with rockface and building finish. Slatestone Wall Panel are offered by us in different color options as well as exhibit both classical as well as modern finish styles that are well liked by our look conscious customers. These mosaics are designs by us are with the premium quality of raw material. These stones wall panels available in different varieties of attractive colors and patterns. These are supplied at high usage as boards in kitchens as well as bathrooms. These tiles can be offered by us in polished finish also. Grey black Slatestone Wall Panel define great way to enhance your decor with decorative, earthy color range. It's made to cut, size and install quickly and easily, which means that you can use it anywhere inside and outside your home, wherever you want a touch of style. We are providing you the best range of tiles such as copper slate wall Panels, grey slate wall Panels, sandstone wall panels and many more items with effective & timely delivery. We are leading manufacturer and supplier of Sandstone Wall Panel. 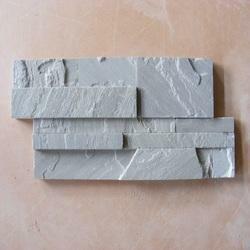 We offer raveena white sandstone wall panels at wholesale price with export quality. Sandstone wall panels could be use for interior and exterior wall cladding for any wall. We are leading manufacturer and supplier of the Decorative Stone Wall Panels. Black and White stone wall panels produced from black limestone and White marble strips. It has sandblast finish on its surface. Stone Wall Panels for Front Elevation are used for front elevation of home and commercial building. Stone wall panels crafted with copper Slate. Copper Slate have its natural shining property so it gives sparkling in sunshine. It gives very attractive and rich look on exterior walls. We are leading manufacturer and supplier of the Kandla Grey Sandstone Wall Panel. Kandla Grey sandstone is well known by all over the world's architects and landscapers for Paving, flooring and wall cladding. We introduce kandla grey wall panel as an option for Front elevation as well well interior wall cladding. Black Slate Wall Panels are very popular for interior as well as exterior wall cladding. We provide installation facilities for black Slate Wall panels supplied by us. 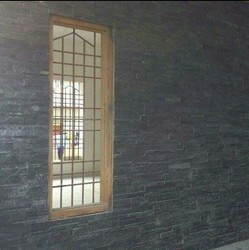 Black Slate Wall panels are available with updown feelings. Now a days faux stone wall panels become very popular for interior as well as exterior wall cladding of Bungalows, homes and commercial buildings in India. To fulfill the needs of Interior designers and Architect, we have developed the new design of natural stones in the similar form like faux stone. We provide these faux stones installed on mess or net.